With a busy research agenda for 2016, we are hitting the ground running with Fosway’s new strategic partnership with Europe’s leading workplace learning event – Learning Technologies – and its supporting community, The Learning and Skills Group, to provide the definitive market barometer of learning technology in Europe. 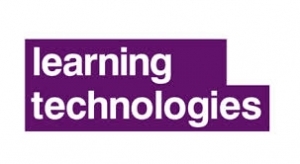 The preliminary results from over 800 respondents will be shared directly with all respondents once the headline results are unveiled at Learning Technologies next week. Here is a run down of everything you can expect from our team of analysts at the event. Our team will be at Learning Technologies hosting the Fosway Analyst Lounge on the main exhibition floor. If you’re attending, please come and say hello and pick up our latest research, which includes the research infographic based on the current survey. If you’d like like to book a specific slot to see Adrian Jones, David Wilson or David Perring, email janet.troesch@fosway.com so we can arrange some dedicated time. 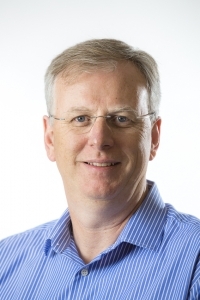 David Wilson and David Perring will be exploring emerging innovations in learning technology – not just the game changers, but those that have the power to make entirely new games. Understanding these trends could be the difference between survival or extinction over the next 4-5 years. In an open forum, discover insights into what’s happening in the world’s leading organisations, and the implications for you. Discover initial findings and the planned programme of research with Europe’s largest cross section of learning technology customers and suppliers in this must-see session. We are looking forward to an interesting couple of days and will be sharing our highlights and key insights after the event. Our head of content and communications, Kate Graham, is also hosting the event’s live backchannel on social media and will be sharing updates via social media across the conference and exhibition. And if you tune into #LT16UK you will see the conversation has already begun. We hope to see you there but if you are unable to attend but would like to discuss any of the new research or find out more on the content of our presentations, contact us directly and we’ll be delighted to share.